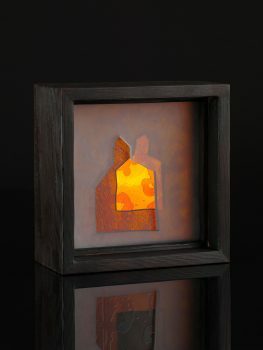 Kate Henderson’s work is inspired by fragments of eroded shapes, textures and colours from Historic Architecture. 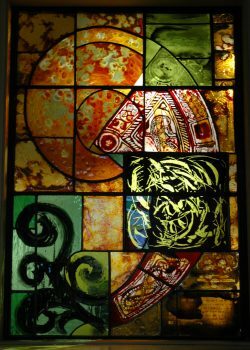 She trained in stained glass and painting at Edinburgh College Art and continues to build a varied portfolio of commissioned glass for public and private buildings across Scotland. 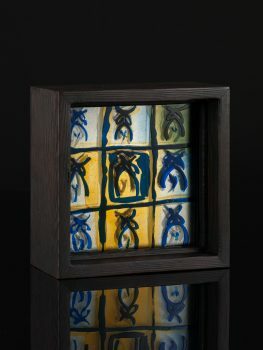 She enjoys the challenge of making new glass and working with clients to a brief for specific projects and locations. Kate taught stained glass for 11 years with the life-long learning department at ECA and now teaches from her workshop in East Lothian. 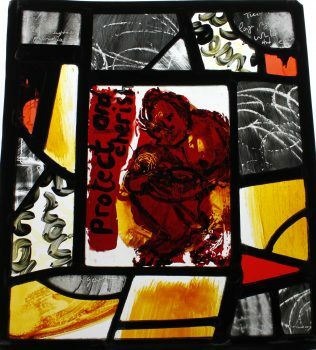 Her exhibition glass has been shown in major shows including the British Glass Biennale and Remarkable Glass at the Contemporary Applied Arts in London. Kate exhibits her paintings regularly in galleries and society shows throughout the country and has won awards for her paintings from the Royal Glasgow Institute and the Royal Scottish Society of Painters in Watercolour. 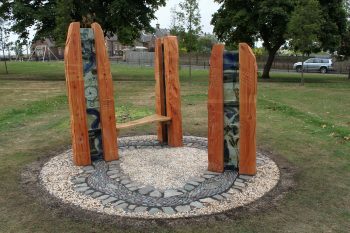 In 2008, she was elected an associate member of the BSMGP and a professional member of the Scottish Society of Artists and until recently was the Chair of the Scottish Glass Society.